Power Oil 12 Days of Christmas is ON!!!!!!!!!!!!! 1) EACH day (of the 12 DAYS) has a different completion. 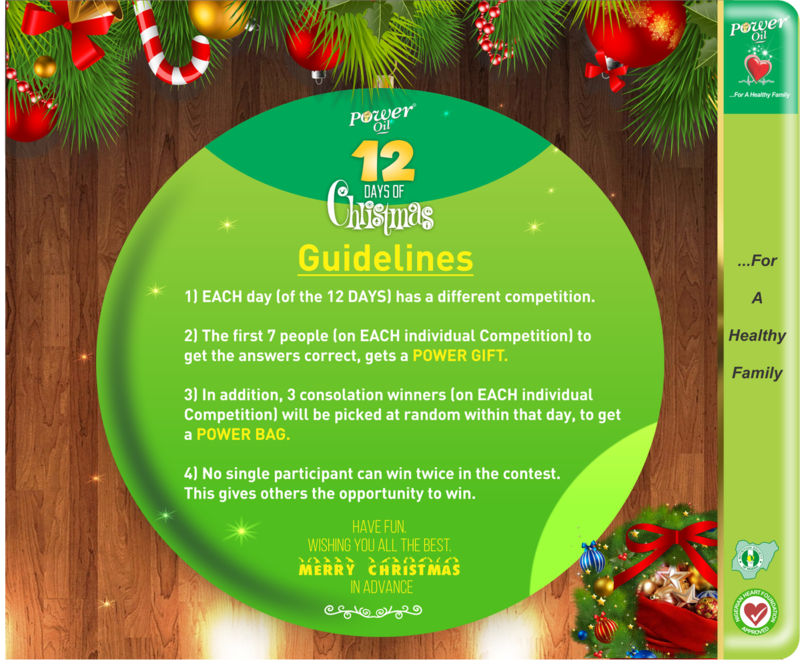 2) The first 7 people (on EACH individual Competition) to get the answers correct, gets a Power Gift. 3) In addition, 3 consolation winners (on EACH individual Competition) will be picked at random within that day, to get a Power Bag. 4) No single participant can win twice in the contest. This gives others the opportunity to win.